Are you struggling to compete with other agencies in your niche? Are you tired of losing new business to your competition? You can stand out if you learn how to disrupt the status quo. You just need to get a little scrappy and start thinking outside-of-the-box. Why your agency needs to think differently. 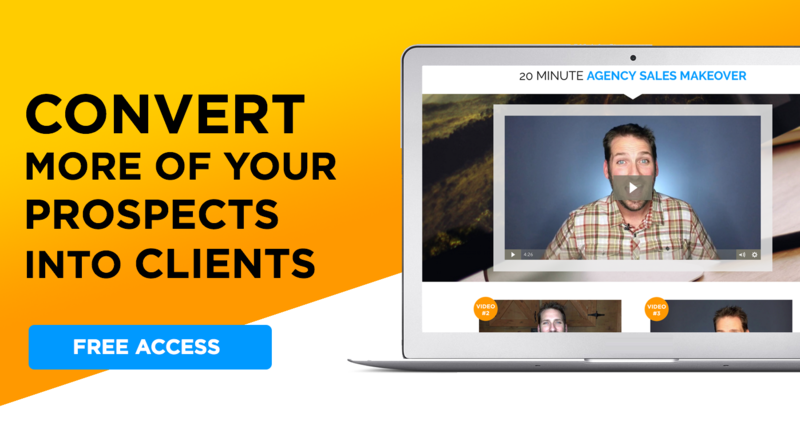 #1 way to achieve agency growth fast! How data can close more agency new business. Today, I talked with Jay Samit — serial entrepreneur, former VP of Sony, Vice Chairman of Deloitte, and best selling author. Oh! And he grew an agency from $0 in revenue to $200 million is 18 months. He’s basically a superstar. And Jay’s new book “Disrupt You! Master Personal Transformation, Seize Opportunity, and Thrive in the Era of Endless Innovation“ is all about how you can create agency growth by being a little different. Jay talked about his experience coming into a marketing agency that had $0 in revenue and transforming it into a $200 million opportunity. How? He pivoted. The agency had a great idea, but they didn’t know how to execute it properly. They had the framework of value exchange merchandising but didn’t know what to do with it. Jay’s idea was to offering value exchange merchandise for brands around the world. So for example, instead of paying for your in-game app currency, you could just watch an ad instead. Here’s the crazy part. Within one year, the agency was charging advertisers $1,000 CPM! Maybe your agency has a great idea. And, maybe you’re awesome at what you do. But, if you’re not succeeding, it may be time to pivot. Don’t throw the baby out with the bathwater. Think about how you can apply those same services and skills to a broader or more nuanced user base. How can you utilize what you already have in a different way? No way to do things differently? Try adding some unique services that set you apart! 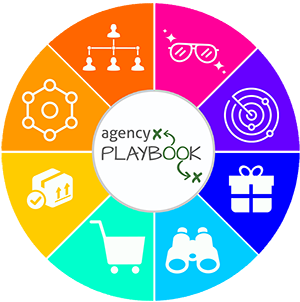 The Best Way to Achieve Agency Growth Fast! I’ve talked about niching in the past, but what about niching into an unknown space? If you can find a way to be the only agency offering services to a particular group of people, you’re in the golden zone. Jay told a story about an agency owner going from homeless to $70k in his first month — and $1 million by the end of his first year. How did he do it? He found a market no one else was serving. Sure, niching can be a great way to get hyper-specialized. But, if you can offer services to a market no one is paying attention to, you’ll have a huge advantage. Here’s a tip… Research a couple niches you’re passionate about and see if anyone else is serving them. Start searching for those unexplored opportunities. You never know what you might find. Are you having trouble pitching? Can you get your foot-in-the-door, but you seem to have issues closing? Try putting data to work. You can tell a prospect anything. But, if you can show them substance, they’re going to be interested. You may have a killer strategy and a great idea that will help that prospect rake in customers. But if you can back it up with solid data, you’re more likely to win the pitch. Data doesn’t lie. Think you can triple their ROI on Facebook? I believe you, but your prospects need more than just your word on it. Explain the plan, then show them how you can do it by sharing a case story and reporting data that backs up your claim. The better the data, the better your chances. FreshBooks is the solution with their ridiculously easy­-to-­use cloud accounting software for agencies. Freshbooks helps you work smarter and become more organized. Most importantly, it gets you paid quicker. Check out FreshBooks.com/SmartAgency and enter SMARTAGENCY in the “How Did You Hear About Us?” section for a FREE 30-day, unrestricted trial.